This statement on “benami property” from our Prime Minister forayed into reality with the passage of Benami Transactions (Prohibition) Amendment Act, 2016. The Act seeks to amend older Benami Transactions (Prohibition) Act, 1988. For many people, the term “benami property” is a mystery. Some assign meaning to it as “without name”. Well, that’s correct only to mean the first word of the term. Let us understand what does the term imply and what does the Act brings in its kitty. 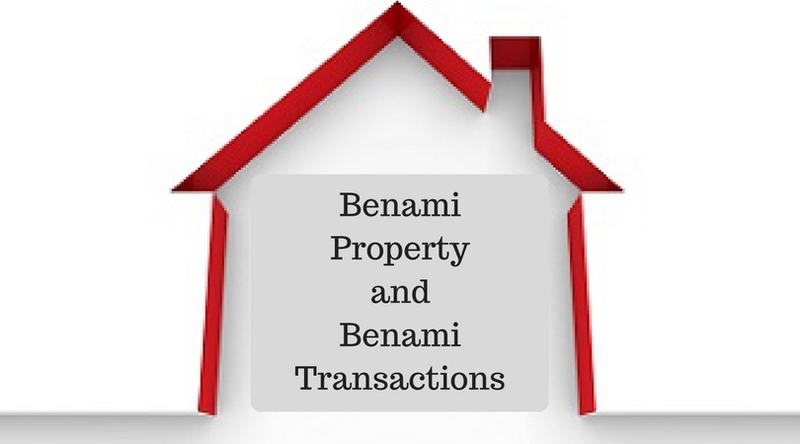 What is a benami property? At the foremost, clear the general misunderstanding. When we say ‘property’, it is not just real estate. It covers assets of any kind – moveable or immoveable, tangible or intangible, corporeal or incorporeal. It means it covers shares, debentures, fixed deposits as well. 2. Any proceeds from such benami property will be benami property only. Whether ownership by one person and consideration by another turns every property benami? 1. A husband can own property in the name of his wife and vice versa. 2. A parent can own property in the name of children, whether married or not. What is all more important that in the case of property held by the Karta or a member of a HUF, spouse, parent or siblings, the money for the transaction should come from `known and traceable sources’. 1. Contract for the transfer of property which has been partly executed under the Transfer of Property Act, 1882, provided stamp duty has been paid and the contract have been registered. 2. The Central Government is empowered to exempt any property belonging to charitable or religious trusts from the operation of this Act. Given the recent crackdown on licenses granted under FCRA, 1976, this may not be feasible. 3. Benami Property declared under Income Declaration Scheme 2016 (IDS) will no longer be treated as Benami Property. Why this practice is prevalent? To defeat the provisions of any law. For example, to bypass the ceilings provided in different laws as to ownership of properties. Provides an opportunity for channelizing black money. To avoid payment of statutory dues or to avoid payment to creditors. For instance if X is highly indebted, he would purchase property in the name of Y, so that X’s creditors could not attach such property for recovery. Real owner does not have any remedy by way of suit, claim or action to enforce any right in respect of any benami property against the Benamidar or against any other person. Re-transfer of benami property to the beneficial owner or any person acting on his behalf, is considered null and void. It is important to note here that the law does not curb any mischief with respect to transfer of a benami property to a third party i.e., not being a beneficial owner or any other person acting on his behalf, by a benamidar. Before even thinking to enter into a benami transaction, open your eyes to watch out for the hammering punishment provided under the amended law. Rigorous imprisonment for a term ranging from 1-7 years. Fine extending up to 25% of the fair market value of the property. Imprisonment for a term which may extend to three years or with fine or with both. We must appreciate that amendments in the Act have, no doubt, plugged the Principal Act’s loopholes and paves a way for strikes on benami transactions. It comprehensively encompasses all aspects of transactions or arrangements in which the real beneficiary or funding party has no link to the ownership structure. No legislation, in itself, is perfect and same applies to this Act as well. Concerns are surrounded against genuine transactions being labeled as benami. Further, law does not provide a mechanism to prevent benami transactions. Nonetheless, the amendment Act is definitely an applauding step to redress the effects of benami transactions and ultimately cornering corruption and black money. Hope you liked reading it. We will appreciate hearing from you.